Come experience fly fishing for steelhead and brown trout on Cattaraugus Creek, a tributary to Lake Erie located in Western New York. 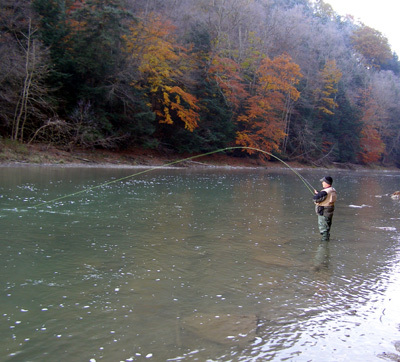 The steelhead section on the "Catt" is approximately 34 miles long, so there is plenty of room to spread out--no "elbow to elbow" fishing found in so many other Great Lakes tributaries. We also have access to private property and other lightly fished sections of the Catt, and we strive to provide our guests with a memorable fly fishing experience. 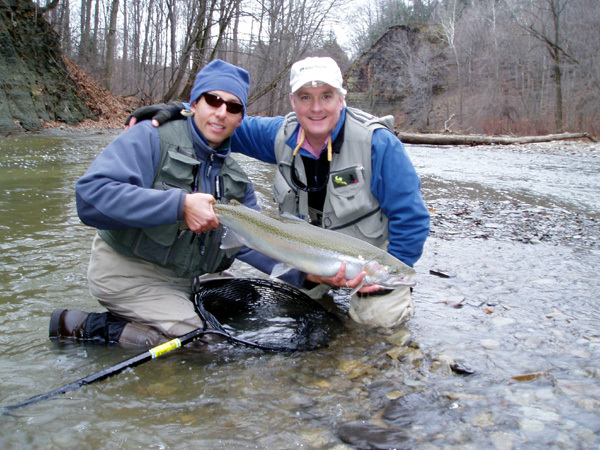 All of our guides are native to western New York and fish our tributaries throughout the year. We keep apprised of the constantly changing conditions on the Catt, which includes regularly altered riverbed structure--meaning that the fish holding runs on this system change from year to year--often more than once in a year. 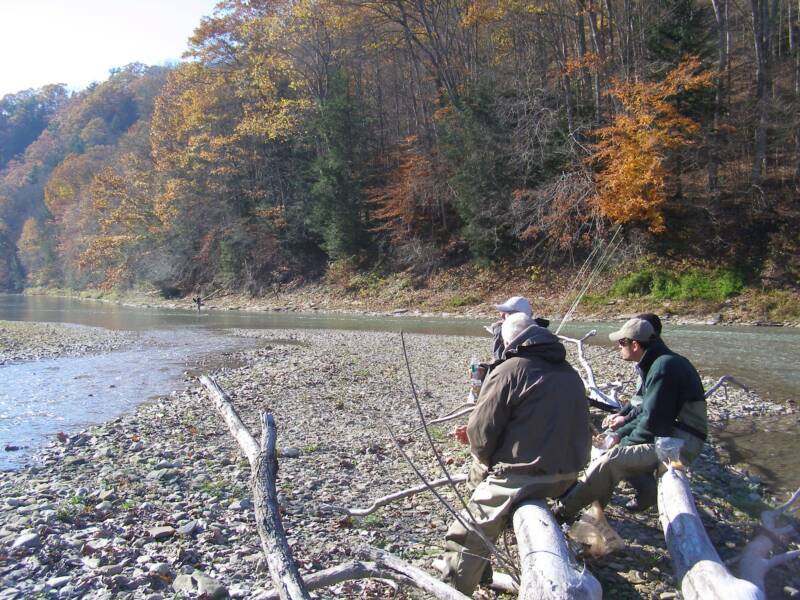 Lodging at all of our scheduled steelhead camps is at our streamside cabins on Cattaraugus creek, on private property. We are short 3 minute walk from Cattaraugus Creek. Cost includes: two days of guided fly fishing by N.Y.S. Registered Guides. (3 anglers per guide), streamside lodging for three nights; lunch for both guided days; use of fly fishing equipment if needed; Lodging is provided on the night prior to the first guided day, and for the next two nights. Our cabins have full kitchens, so bring breakfast supplies. We'll dine out for dinners at local restaurants, or you can bring food and cook your own dinner.